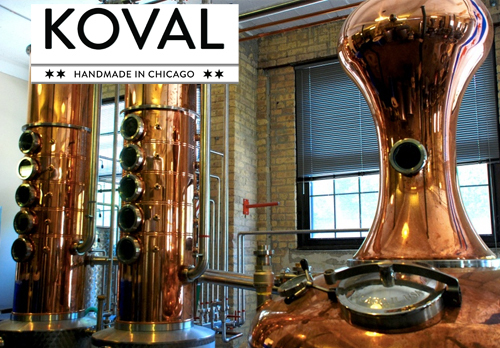 From the Distillery- "Established in 2008, KOVAL produces organic whiskey, liqueurs and specialty spirits in Chicago's first distillery since the mid-1800s. Founders Robert and Sonat Birnecker, chose to leave their academic careers to bring the distilling traditions of Robert’s Austrian family to America. In making this decision, they vowed to make organic spirits from scratch (avoiding the common industry practice of purchasing and bottling pre-made spirits) and to change the way people understand whiskey by creating a new, signature style - using only the “heart” cut of the distillate - affording a brighter, cleaner take on whiskey."